Malcolm John Rebennack, Jr. came to prominence under the moniker “Dr. John, the Night Tripper,” in the 1960s. His brand of music infused New Orleans inspired funk, jazz, blues, psychedelic rock and rhythm and blues. While a member of the Atlantic Records family, Dr. John released a number of critically acclaimed albums, most notably Gris Gris (1968). His work helped progress the music scenes of that era, blurring the line between pop and folk music and exposing listeners to the musical offerings of less mainstream forms of cultural expression. Dr. John was born on November 21, 1940, in New Orleans, Louisiana. He began his music career as a session musician in the late 1950s. Originally focusing his sights on playing piano, he quickly moved his focus to guitar due to the fierce competition among piano players in New Orleans at that time. While still a teenager, his work as a musician began to conflict with his studies in high school. He eventually left school as a result. Dr. John relocated to Los Angeles in 1963, where he became a first-rate session musician in the local music scene. 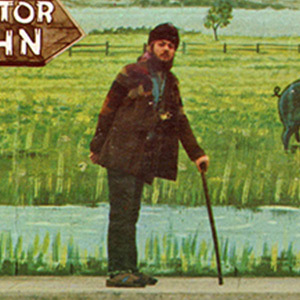 After adopting the persona "Dr. John, the Night Tripper" in the 1960s, he began to make a name for himself as a solo act. His unique style included elaborate stage performances that evoked the spirit of New Orleans Voodoo culture and spiritual practice. His debut album Gris-Gris incorporates religious chants along with R&B stylings that convey the soul of the Bayou. Although the album was not a huge commercial success at the time of release, its appeal has grown over the decades. Today it is considered one of the top albums of all time. Today, Dr. John is the recipient of six Grammy Awards and has also been inducted into the Rock and Roll Hall of Fame. He also holds an honorary doctorate degree from Tulane University. His music and roots aesthetic continue to be an integral part of pop culture. To learn more about Dr. John's legacy, visit his official website and check out his music on Spotify and iTunes. Wiz Khalifa Gets "So High"